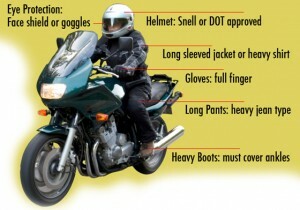 The appropriate motorcycle safety gear can help prevent you from being in a major motorcycle accident. Every year, approximately 4,000 people are killed in motorcycle accidents. Those numbers have not shifted much, in spite of significant drops in the number of people killed in auto accidents. The right kind of motorcycle safety gear is key to helping reduce your risk of injury or fatality in an accident. It’s not always easy to convince motorcyclists about the need to wear appropriate safety gear, so that they can reduce their risk of injuries. Many riders labor under the assumption that a helmet is all that they need to stay safe while riding. Nothing could be further from the truth. If you enjoy motorcycling, promise yourself that you will never get back on a motorcycle again without these five important pieces of gear. The helmet is the most important safety equipment that you could use while riding. According to statistics, the use of a helmet reduces your risk of dying in an accident by as much as 37%. Studies by the National Highway Traffic Safety Administration have also confirmed that helmeted motorcyclists are much less likely to die from a traumatic brain injury, and are also likely to run up lower medical and hospitalization bills, compared to non-helmeted motorcyclists in an accident. Some of the more serious injuries in motorcycle accidents are collarbone injuries. Reduce your risk of suffering these debilitating injuries by wearing a neck collar to protect your collarbone. It can be extremely foolhardy and risky to ride a motorcycle without wearing appropriate gloves. Obviously, you do not want clunky, uncomfortable cumbersome gloves that do not allow you to grip the motorcycle handle conveniently. Look into new- generation motorcycle gloves that can come in leather and Kevlar with additional carbon-fiber reinforcements to protect your fingers and hands during an accident. Boots can help protect your feet and ankles in the event of an accident. Foot injuries are actually very common during motorcycle accidents, and can keep you off your feet quite literally for weeks or even months after an accident. 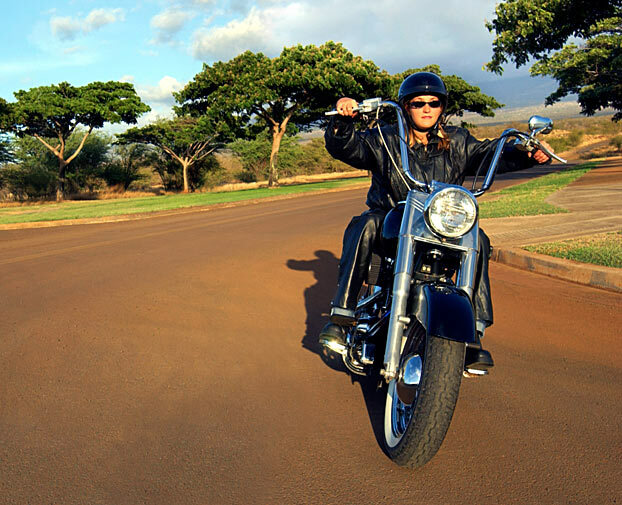 A motorcycle jacket is not meant merely to make you look like a daredevil, but also protect you from severe injuries. Buy yourself a motorcycle jacket that comes with reinforced elbow protectors for extra protection, and carbon fiber supports.